Welcome to the website of the Arts Society Lomond and Argyll, TASLA, formally Lomond and Argyll Decorative and Fine Arts Society, LADFAS. The name change resulted from the National organisation undergoing a rebranding in May 2017. 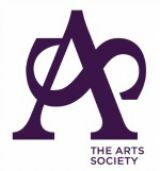 You can access the web site of The Arts Society by clicking on the logo in the right hand column. The society was presented with a gavel and block, handcrafted in London plane, at their inaugural meeting, in December 1997, in recognition of the Society being the 300th member of NADFAS, National Association of Decorative and Fine Arts Society. The National Association and all member societies have a common aim for the promotion and advancement, appreciation and study of the decorative and fine arts and giving aid to the preservation of our National Artistic heritage for the benefit of all. In fulfilment of this aim,TASLA holds ten lectures a year, on a wide range of topics, and given by Lecturers who are acknowledged experts in their field. TASLA organizes study days, visits both in the U.K. and abroad to places such as museums, exhibitions and houses and gardens of architectural and artistic interest. Members are involved in all aspects of volunteering from Church Recorders, Heritage Volunteers projects, to Young Arts and Church Trails. These groups help record and preserve aspects of our artistic heritage for future generations. Click on Membership to see what categories are available. Anyone interested in knowing more about the society can contact membership@ladfas.org.uk. More information can be found about all the society's activities by looking up the appropriate section of this website.